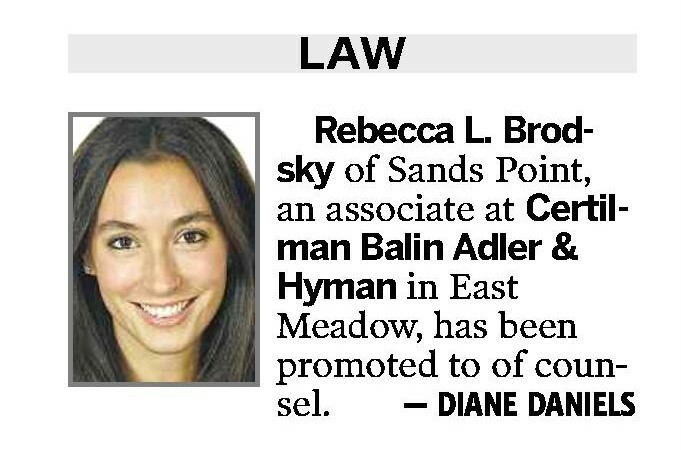 Rebecca Brodsky has been named of Counsel to the Real Estate Practice Group at Certilman Balin. She resides in Sands Point. The announcement is attached here.